The Lanz Family started their vineyards in 1998 with help from their long-time Australian friends Anne and Brian. 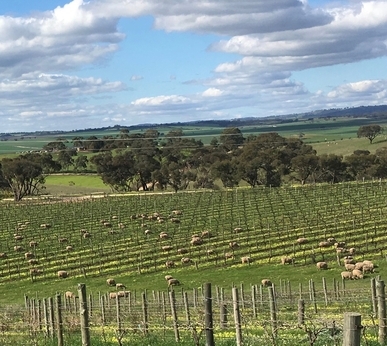 Viticulture, vineyard management, winemaking and grape sales are in the hands of Paxton, renowned throughout Australia for their professionalism. Since 2016 Lanz Vineyards is transforming into biodynamic viticulture. The quality of the grapes of the so called "Outlook Vineyards" has been upgraded steadily and, together with consultancy of one of the top-clients, has now reached A-grade quality with the main part of its grapes. The lion share of the grapes is sold to other premium wine producers in the Barossa Valley. The LANZ wines are produced only of a small part of the grapes – the best, of course!